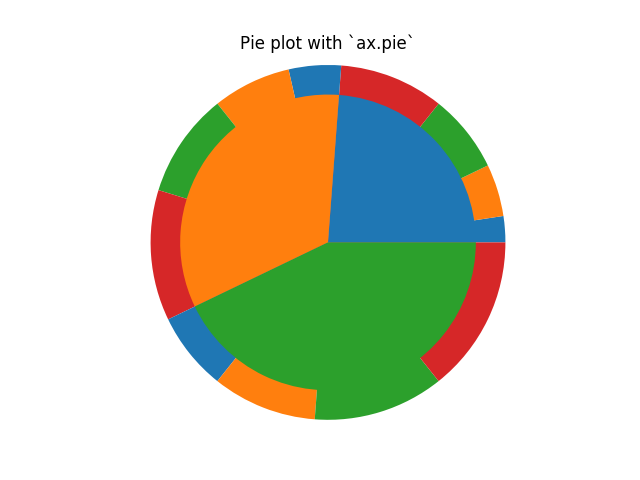 The following examples show two ways to build a nested pie chart in Matplotlib. In this case, pie takes values corresponding to counts in a group. We’ll first generate some fake data, corresponding to three groups. In the outer circle, we’ll treat each number as belonging to its own group. In the inner circle, we’ll plot them as members of their original 3 groups. 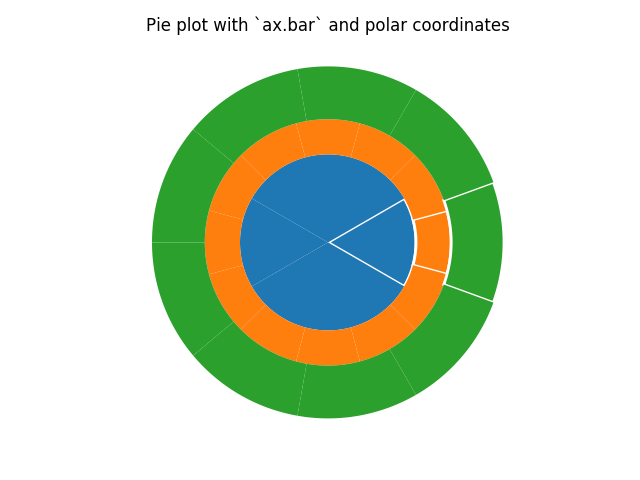 However, you can accomplish the same output by using a bar plot on axes with a polar coordinate system. This may give more flexibility on the exact design of the plot. In this case, we need to map x-values of the bar chart onto radians of a circle.